These are some photos of a Lionel North Pole Central / Department 56 "Dickens Village" setup I did for mother over the Christmas holidays. The "Dickens Village" buildings, people, and accessories are mother's. 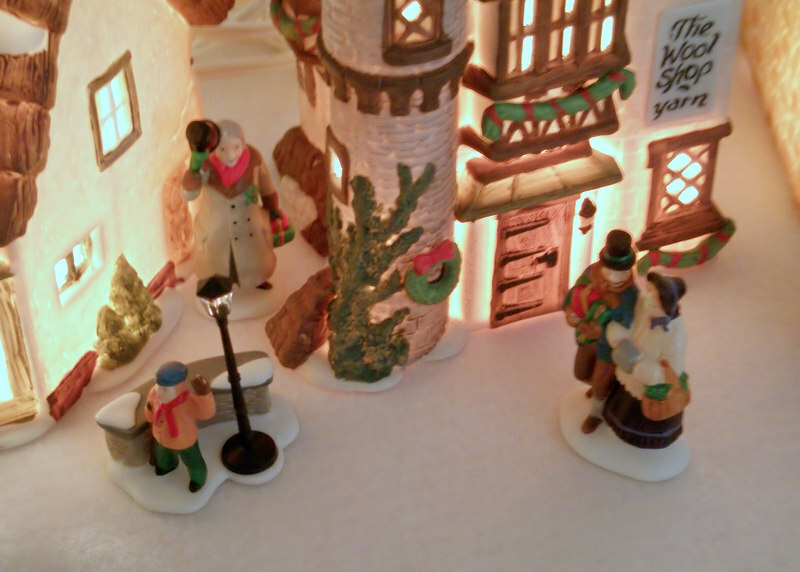 Prior to her stroke, she would set up elaborate Dept.56 displays around the holidays. It had been years since a display was done, so I decided to do one this year. I added the Lionel Christmas train since it is close in scale to the Dept.56 buildings, people and accessories.